IP finance: While Aereo is liquidating, is the "Innovators' Dilemma" still alive and kicking? While Aereo is liquidating, is the "Innovators' Dilemma" still alive and kicking? After a high-profile IP case is decided by the courts, there tends to be little interest about what happens to the parties post-judgment. This is so, even when the losing party is a defendant that tried to disrupt an industry in a media-savvy way, but ultimately fell foul of an adverse judicial decision. An excellent case in point is the Aereo copyright litigation, which ended in June 2014. As readers will likely recall, Aereo was in the business of streaming over-the-air broadcast signals to customers via the internet, whereby each customer had its own tiny dedicated antenna from which the content was then transmitted to customers. No royalties were paid the broadcast providers for their content. All in all, Aereo’s business model was reasonably simple. The basic package was $8 per month to access the personalized antenna and 20 hours of DVR storage, with the option to pay an additional $4 of month for 60 hours of DVR storage. Compare these fees with the $80 a month charges for cable. Broadcasters challenged this arrangement, alleging copyright infringement. The 2nd Circuit Court of Appeals ruled in Aereo’s favor, finding that no copyright infringement had taken place. The United States Supreme Court disagreed, ruling that Aereo’s scheme did infringe the U.S. copyright laws and ordered Aereo to stop making further use of their system. The decision put paid to the business model that had been employed prior to the Supreme Court decision. Aereo did not throw in the towel and tried to reconstitute itself as a cable company. However, in October a judge in New York approved a ban that prohibited the company from retransmitting live TV broadcasts. Several weeks later, in November, the company filed for bankruptcy protection under Chapter 11 of the bankruptcy law, which is intended to enable a company to restructure its operations under court protection. 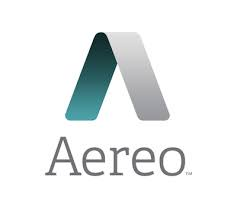 However, on December 24, 2014 the U.S. Bankruptcy Court in Manhattan ruled that Aereo can go forward with the sale of its assets via an auction, which indicates that the company will be liquidated. Significantly, the court issued its ruling only after it reached agreement with certain major broadcasters, including CBS, Comcast, ABC and Fox, who will be allowed to attend the auction. As well, Aereo undertook to provide these broadcasters with a weekly update on the progress of the auction process. The question immediately jumps to mind: why are the broadcasters so interested in monitoring the liquidation of Aereo’s assets? After all, the Supreme Court effectively shut the company down; what difference will it make to the broadcasters to whom and under what circumstances the company’s remaining hard assets are put up for sale ? The answer seems to lie in the fact that these broadcasters are concerned that the purchaser of these assets could use them as the springboard for another attempt to transmit content to end users without paying the content providers. This is so, even if the company itself has undertaken before the court that it will not recommence such activities in the future. The concern expressed by the broadcasters is particularly interesting in light of the apparent disdain they have shown for the Aereo business model. Thus CBS chief executive Les Moonves is reported to have said in August 2014 that while Aereo attracted “a lot of attention for a service that virtually no one was using.” More generally, commentators wondered just how many people would ever sign up for the service, given that the broadcast signals are anyway free if one simply uses an appropriate antenna. But even if Aereo was a mere gnat in the firmament of television broadcasting, it was enjoying much more rapid growth than other content distribution channels. The Wall Street Journal estimates that Aereo had 108,000 subscribers in 14 cities when it closed down in June. This number pales in comparison with the reported 35 million subscribers at Netflix and Comcast’s base of 22.5 million. But Aereo’s rate of growth gave the industry pause for concern. After all, Clayton Christensen’s iconic analysis on disruptive technology, The Innovator’s Dilemma, focused on new technologies being developed on a small scale and seemingly posing no threat to the entrenched industry. Even after the Supreme Court decision, perhaps the broadcasting industry has the “innovator’s dilemma” in mind as it seeks to bear careful watch on how Aereo’s assets will be disposed of.